To further build anticipation for the launch of the next generation Ford Mustang, Ford Motor Company has launched the website MustangInspires.com and as part of the goals of that new website, Ford wants Mustang enthusiasts to submit their own “photographic stories of inspiration” featuring their Mustang or the things that their Mustang inspires them to do. More importantly, the first video on YouTube states that the 2015 Ford Mustang will be formally unveiled on December 5th 2013. This first MustangInspires video with the announcement is available at the end of this piece. There is no additional information at this point about when or where the 2015 Ford Mustang will debut but considering that the 5th of December comes after the end of the LA Auto Show and before the start of any other major show in the US, we suspect that the Mustang will make its debut at a special event…similar to what General Motors did with the 2014 Chevrolet Corvette. While the new Stingray made its public debut at the 2013 North American International Auto Show in Detroit, the car was introduced at an invite-only event prior to the Detroit show. Since there is no major auto show planned around December 5th, Ford’s introduction of the next generation Mustang will come without any real interruption from other automakers whereas the Corvette had to compete with the other debuts at the 2013 NAIAS. The other possibility for the debut is that Ford will introduce the 2015 Mustang virtually via YouTube or the world of social media as opposed to a formal in-person debut so that everyone could watch the debut at the same time from their home or office. It could also be a combination of the two – similar to what Toyota did with the current Camry. In addition to having a collection of debut events around the country, Toyota also had a live feed with the head of the company walking everyone watching at home through the debut of the new model. 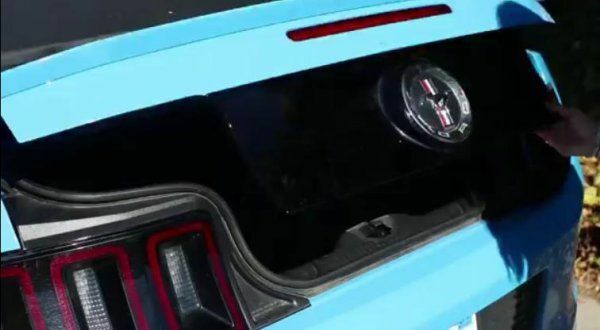 This approach would allow Ford to put the Mustang in front of the media and possibly some larger enthusiast markets while also offering those who cannot make it to a debut event to watch along at home. If I was a betting man, I would wager that the 2015 Mustang will debut at an event in Detroit that will be broadcast across the internet for all to see. Regardless of how the Motor Company chooses to introduce the 2015 Ford Mustang, we can expect that the next generation pony car will have a massive presence at both the 2014 North American International Auto Show in Detroit where it will likely make its public debut as well as at the 2014 New York Auto Show, where Ford will celebrate the 50th anniversary of the Mustang debut in what we can only expect will be a truly grand display. The Big Apple show happens to fall on the exact day that the Mustang was first introduced in New York so we can be guaranteed to see something really special for the 2015 Mustang at the 2014 NYIAS. The image above was captured from the first Mustang Inspires video. I was expecting more from the teaser, but at least we got a little view of the interior, if the teaser is taken from the 2015 Mustang. Ford could have been little more generous.